As subscribers to our e-mail list already know, we here at Four Star Motorsports have been recognized as one of the top 100 motorsports blogs. We placed number 65 to be exact. The placement is based on facebook and twitter fans/followers and Alexa rank, which is a measurement of traffic to websites for the trailing 3 months. We are flattered to be on any list, especially for doing something good. We just wish we got more than a picture of a medal. Read more about the ranking an other blogs on the list here. Another MLRC Rally Cross Event, Another Win For Tom! The final Maple Leaf Rally Club Rally Cross event took place this past weekend in Bancroft. We here at Four Star Motorsports are proud to say that friend and customer Tom once again placed 1st overall in his 2002 Subaru WRX EJ20. We look forward to working with Tom in the future! Last week was the 16th running of Targa Newfoundland. Four Star Motorsports friend and customer Mark Rittenhouse competed in his Mitsubishi Lancer EVO X (with the new colour scheme that looks pretty awesome) and placed 2nd in the Open Class in a very tightly run race, missing 1st by seconds. He had the help of Mark Laitenberger as his co-driver and Marc Schurman as his service crew, and of course the help from his lovely wife Wendy. Mark managed to keep the car out of any danger and avoided the need for any major repairs, which can be difficult over the 1,600 km the cars travel during the event. Congratulations Mark, Mark and Marc. More information on Targa Newfoundland can be found here. This past weekend was the MLRC Black Bear Rally event in Gilmour, Ontario. This event is the 5th event of the Eastern Canadian Rally Championship and the 4th event of the Ontario Performance Rally Championship. We are proud to say that Four Star Motorsports friends and customers capped the podium in a tightly challenged race. The team of Laurens Wit and Jonathan Cox finished 1st in their class and 1st overall in their production class and Four Star tuned 2002 Subaru WRX. Laurens would like to thank Minden Subaru, Warren and Tonik Motorsports and of course us here at Four Star Motorsports. Following closely behind was the team of Matthew Ballinger and Bruce Leonard who finished 2nd in their class and 2nd overall in their production class and Four Star tuned 2002 Subaru WRX. Special thanks to Jacek Gielas for the action photos. This weekend that just past was the July CSCS event, with drag racing, drifting and what we are talking about today: Time Attack. Time Attack is high performance driving around a closed circuit testing the capabilities of both car and driver. CSCS was the first series to introduce Time Attack competitions to Canada and is currently home to Canada’s largest time attack championship. Four Star Motorsports friend and customer Tom Elliott competed in his 2002 Subaru WRX EJ20 and finished 4th in his division, and 2nd in max attack. This is in the same car that won his class and overall at last months MLRC Rally Cross event. While we can't take all the credit, Tom is a great driver, we like to think we helped some. Congrats on your results Tom, bring on the next event! We here at Four Star Motorsports have a selection of shirts that we are looking to sell. All items are branded, either by Castrol or Suzuki, including the rare Castrol Rallying branded Four Star Racing crew shirt, made specifically for us after we won the Canadian Rallying Championship in the Audi. We are hoping to get our own new Four Star branded merchandise for the FIA Rally Cross event held in Trois Rivieres at the beginning of August, and selling this stuff will help to fund our new merchandise. We have limited sizing and stock on everything. The shirts will be sold first come, first served. Each t-shirt/short sleeve shirt will be sold for $10, long sleeve shirts for $15, Castrol Racing and Suzuki crew shirt for $25 and the rare Castrol Rallying crew shirt for $50, plus tax and the cost to mail it out to you. Act fast, quantities are limited. All sales final. We accept multiple payment options. Contact us today, we hope to hear from you soon! This past weekend was the running of the Rally of the Voyageurs, held by the Kitchener Waterloo Rally Club. After more then 1 year out of the car driving, and over 8 years since last co-driving, the team of Peter Thomson and Dan Sprongl managed to finish 2nd overall and 2nd in their class driving a Mitsubishi EVO 8. Special congrats also go out to the team of Matthew Ballinger and Bruce Leonard, Four Star Motorsports customers, who finished 6th overall and 2nd in their class in their Subaru WRX. Check out the video below of the podium celebrations from the event, and maybe subscribe to our YouTube page while you're at it! We have recently installed a COBB front mount intercooler kit on an '04 WRX with a JDM 2.0L STi motor. Of course we have pictures, and we have a run on the dyno video as well for your audio and visual pleasure. She topped out at 275.4 wheel horse power, which converts to about 358 crank horse power. What I like the most is how smooth it sounds on it's run. Enjoy the pictures and the video, and if you decide this is something you would like for your car, we here at Four Star Motorsports can get that done. Once again, we here at Four Star Motorsports are happy to present another video review of the MAXXIS Victra R19 gravel rally tire from our friend André Leblanc. André recently competed in the Rallye Baie-des-Chaleurs, and finished in 3rd place overall. He used the MAXXIS rally tires for the night stages of the rally and gives us his thoughts on their performance. HInt: it sounds like he likes them. The video in English can be found below, and a version in French on our YouTube page here. Don't forget, we sell MAXXIS tires. Get yours now! Have you been thinking about making your Subaru Outback be more of an off-road powerhouse? We here at Four Star Motorsports can do that for you with products from LP Aventure. 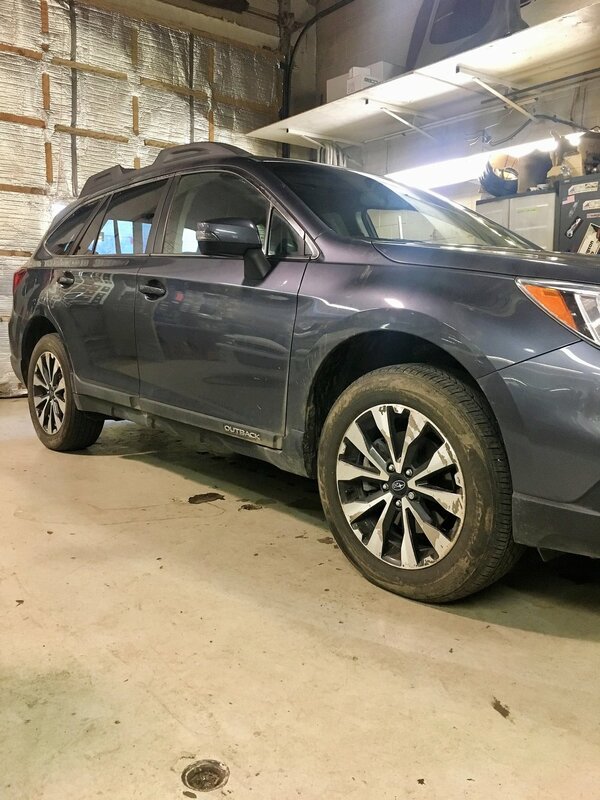 We present to you a before and after picture set of an Outback with the LP Aventure lift kit, Motegi wheels and big, beefy BF Goodrich KO2 tires all installed by us! Get off the asphalt and onto the cottage roads with confidence. Contact us today for installation! After a long delay, we here at Four Star Motorsports are proud to announce that the 185/65R15 medium compound MAXXIS Victra R19 tires are finally in stock!! The MAXXIS tires are a cost effective gravel rally tire. Our friend André Leblanc made a video about these tires after he drove around in rally like conditions. You can watch that video here. These tires are $206 each, and must be sold in pairs. Taxes and shipping if needed are extra. We here at Four Star Motorsports can get your car tuned up in a variety of ways. Want a simple, easy plug and play option? 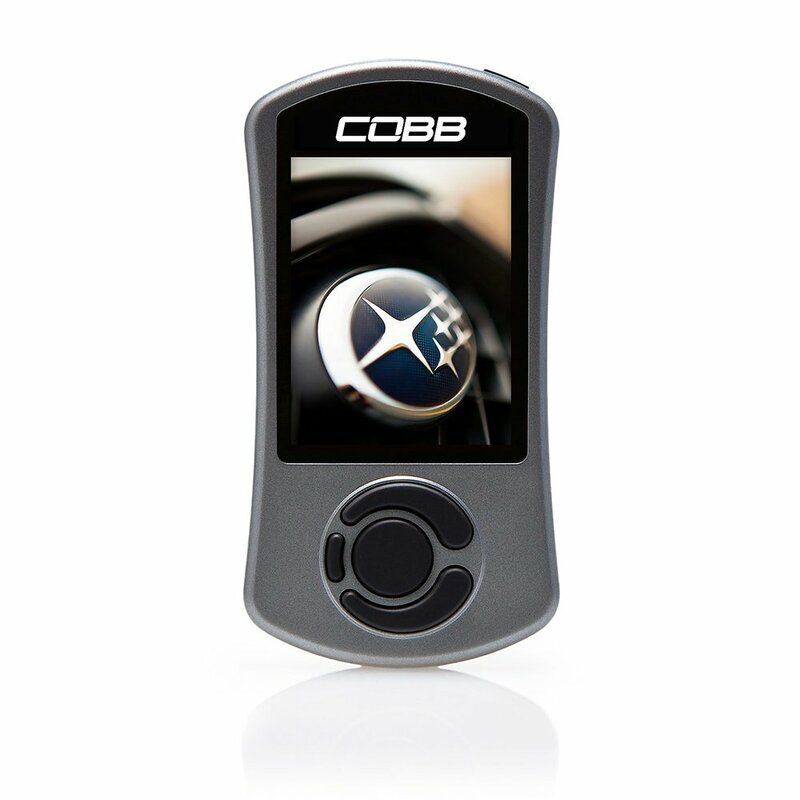 We offer the COBB Accessport that comes pre-programmed with "Off The Shelf" maps that match up to what work you have done to your car. For those looking for a more specific tune, we offer both EcuTek full ECU tuning and COBB Accesstuner Pro tuning. These services are done in house on our AWD dyno to get a specific tune that is custom made for your car. This gets the most out of your engine to match up with your needs, be it rally, time attack or simple street use. As mentioned previously, we at Four Star Motorsports are proud sponsor of the Canadian Sport Compact Series (CSCS). CSCS now has 4 different drag classes running all day alongside Test & Tune. The next event is June 25/17 at Toronto Motorsport Park in Cayuga, and we will be there. One car we will have there is this Subaru Impreza STi drag car. It's got a Four Star Motorsports built 2.6L dry sump GT42 engine. It's been stripped down and is ready for a couple runs down the drag strip. Hope to see you there. LP Aventure Products like to go big. They offer lift kits for your Outback and Crosstrek that raise you up 1.5-2". They also offer these huge off-road tires to make your lifted Subaru even more of monster. 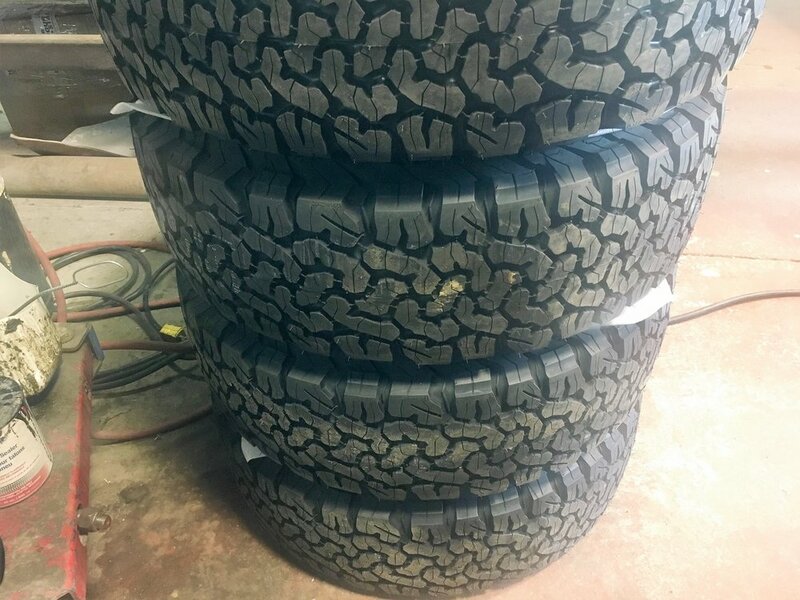 These BF Goodrich KO2 tires are huge, and offer 20% tougher sidewalls featuring race-proven CoreGard™ technology, 2X the treadlife on gravel, 15% longer treadlife on asphalt, 10% more mud traction and 19% improved snow traction exceeding TRAC severe snow traction performance requirements to confidently get where you want to go. 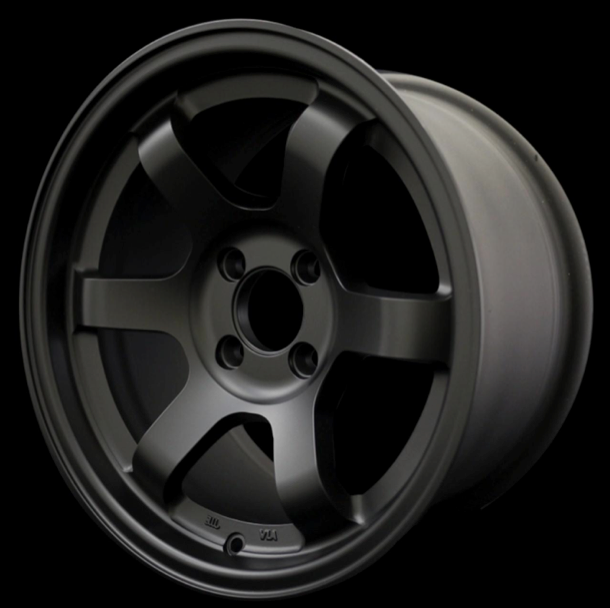 The ones pictured below are mounted on Motegi wheels. If you are serious about avoiding the pavement and hitting the dirt, we here at Four Star Motorsports can get you off-road ready. Yeah, you've seen us talk about getting Maxxis gravel rally tires, but maybe you still aren't sure about leaving Pirelli or some other tire make. This review of the Maxxis Victra R19 is from our friend André Leblanc, a fellow Maxxis distributor and most importantly, a real rally driver. He put the Maxxis tire on his rally car and went out for over 60 km of spirited driving. He mentioned the he was braking too soon because of the good grip, the tires are lighter than their Pirelli counterparts and that the edges of the tires held up well. We here at Four Star Motorsports believe in the Maxxis tire, and by the amount we have sold so do lots of you. Hopefully you'll be on the phone with us to get your own set of Maxxis gravel rally tires. Don't worry, we aren't taking about white walkers or dragons. We are talking about Pirelli and their line of snow and ice tires. Yeah, it's nice and sunny and warm out there now, but in a few short months we will have snow and ice to deal with. Don't be that guy who at the last minute decides they need some serious rally tires to match the conditions. Start thinking about them now and make sure that the tires you want are available and can be delivered without worrying about deadlines. Of course we here at Four Star Motorsports have other Pirelli tires for you that match this warmer, wetter weather as well. As you know, we here at Four Star Motorsports can supply you with Rota wheels. They have many designs available at reasonable prices. But did you know they are cool people too? 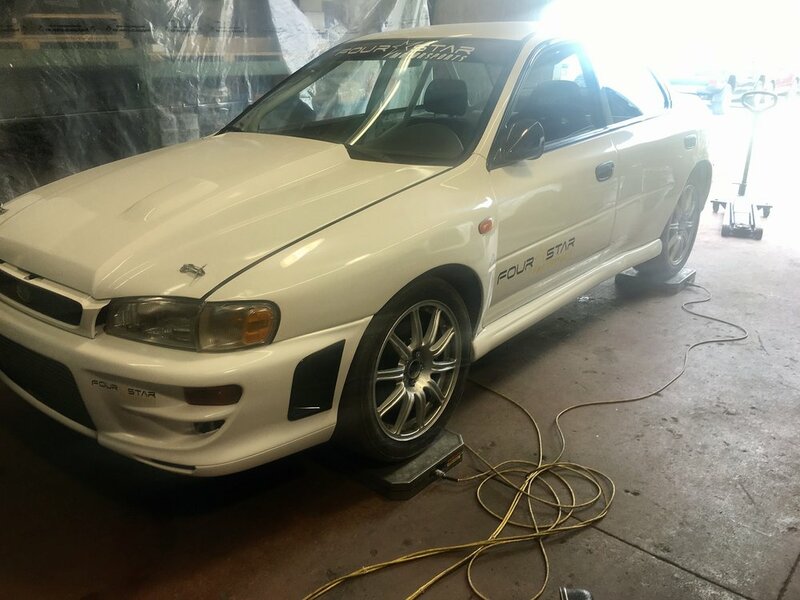 We were looking for a wheel to fit an EVO 8, and were running into problems with wheels that would fit correctly. We talked to the guys at Rota and they helped us out large. They met us at their warehouse late on a Saturday evening and spent the time to make sure we got a wheel that would work, and looked good too. A big thanks to the people at Rota for going out of their way to be super helpful! Subaru's driver controlled center differential works fine in most situations. However, if you have swapped your motor or transmission, or simply want more control; then the DCCDPro Spiider is what you need. From automatic to manual adjustment allowing you to operate at fully locked or unlocked levels, the Spiider gives you the control you seek. DCCDPro has other products too, like the VSSPro (measures speed from the ABS allowing tire and wheel sizes to not impact speedometer readings or the ECU) and the FuelPro (ensuring a constant fuel stream into the engine without cavitation). If you have modified your ride or simply want consistency and control in your hands then DCCDPro is the answer. Canadian made since 2007, and available from your friends here at Four Star Motorsports. Speedline Corse Wheels Are Here! Speedline is synonymous with racing and winning. Over 70 FIA titles have been won on Speedline Corse wheels. Wouldn't you want to be associated with this great racing heritage? 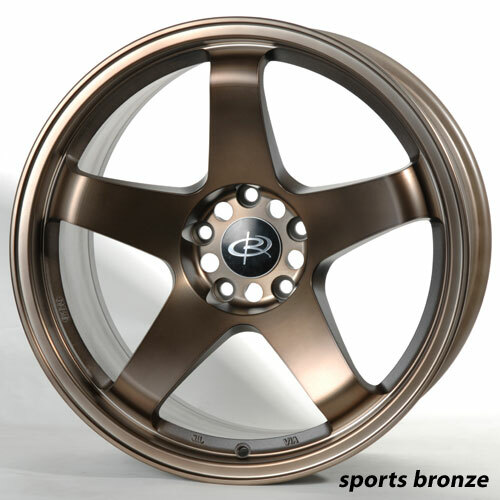 From rally wheels to historic retro wheels for Renault and Puegeot, we at Four Star Motorsports have your needs covered as the only authorized dealer of Speedline Corse wheels in Canada. 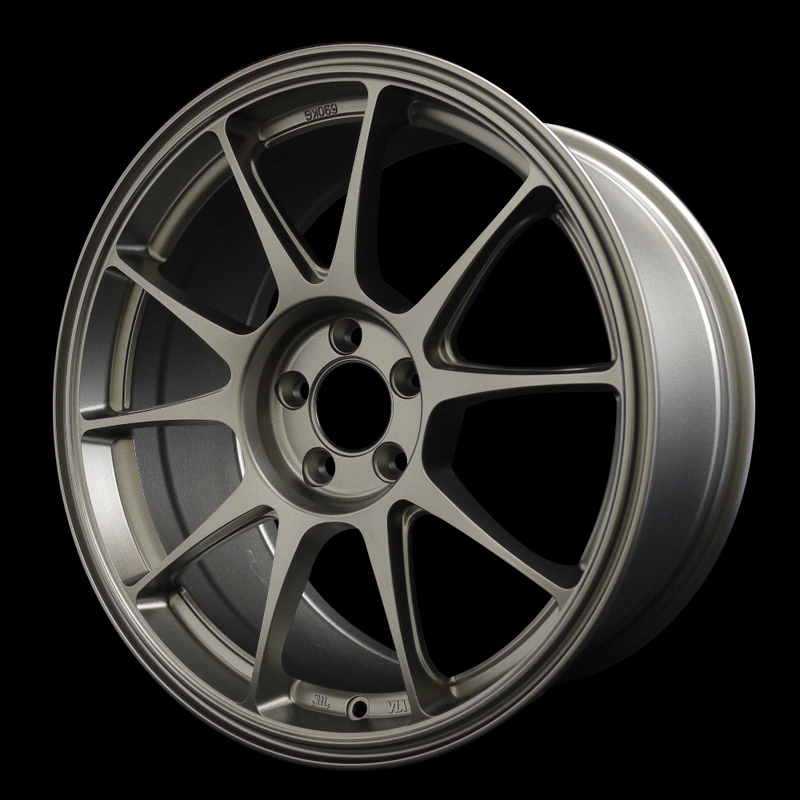 And arriving this fall we will have a Speedline Corse retro wheel fitted for Audi in a 17x8, 5x112 bolt pattern. Don't worry, we'll let you know when the Audi wheel is available. Four Star Motorsports is proud to be a sponsor for this years Canadian Sport Compact Series, now in it's 14th year. They hold events one Sunday a month from May to September, and have everything from drifting, show and shine, time attack and drag racing. It is a fun, family friendly and entertaining way to spend the day surrounded by tuned cars and tire smoke. For more information about the CSCS, please click here. Come on down and visit us at our tent. We'll have a car or two there. Four Star Motorsports is located in Georgetown, Ontario, Canada. We specialize in rally car preparation and performance parts for Subaru, Mitsubishi, Audi, BMW Mini and Suzuki. Movie & TV car prep including roll cages. Rally tires, tires, movie & TV car prep.